Weight: 500 gr. vacuum pack. Ingredients: Beef, salt, dextrose, sucrose, spices, natural flavorings, aromatic mountain herbs. E 301 antioxidant. E 250, E 252 preservatives. Description: The 100% beef Mocetta of Valle d’Aosta is prepared exclusively with cuts coming from cattle bred and raised in the pastures of the Valle d'Aosta, a guarantee of quality and excellence. 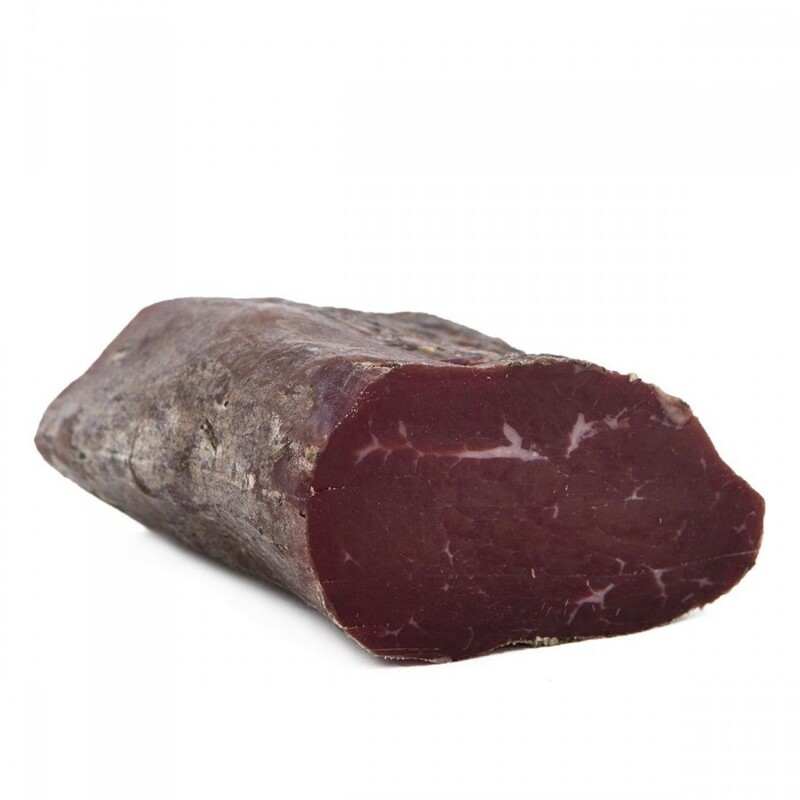 The meat is left to macerate for at least twenty days together with mountain herbs, salt, spices and natural flavorings, and then left to dry for a period varying from one to three months depending on the size of the cut. It’s considered a very special dish, ideal when cut into thin slices. Serve it as an appetizer with Raclette and vegetables in oil! Conservation: Wrap in a damp cloth or wax paper and refrigerate at +2/4°C after opening.